CANCELLATIONS are accepted 3 weeks before the arrival day.NO MONEY will be returned after that day. reservations only by request and not on-line. the reservations for the groups I want to be only on request and not on-line. We are a delightful, centrally located hotel with 50 rooms, 150 meters from Omonia Square with central heating, bar and breakfast lounge. All rooms have private facilities. 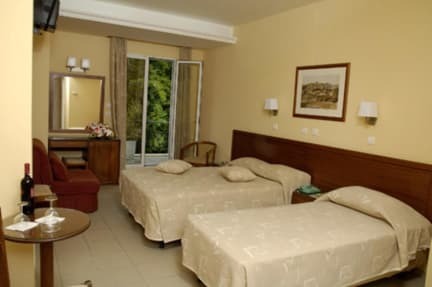 It is a family hotel, which is, located on a quiet road in the centre of Athens, behind the National Archaeological Museum. 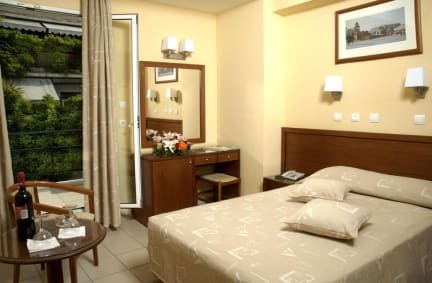 We are very near to Omonoia Square where you will find a Metro station. The Hotel is a bit old, but overall the athmosphere was okay. Staff is very friendly. Breakfast ist easy but okay.